55.7 GB download size Too large to download? Choose hard drive delivery at checkout. We knew that in order to create a great film scoring tool we had to go to where the best film scores are recorded. Air Studios in London was founded by Sir George Martin, the legendary producer behind The Beatles. Its Hall has been the choice of Hollywood directors for decades, with countless blockbuster scores being recorded there (Justice League, Interstellar, Harry Potter, Pirates Of The Caribbean, Lord Of The Rings - the list goes on). Our Albion ONE orchestra was recorded by award-winning engineers via world-class equipment: priceless ribbon and valve mics through Neve Montserrat preamps, the largest 88R Neve console in the world and onto pristine 2” tape, before being converted with the top-of-their-class Prism AD converters at 96k. No expense has been spared in order to capture in exactly the same way as for the movies. 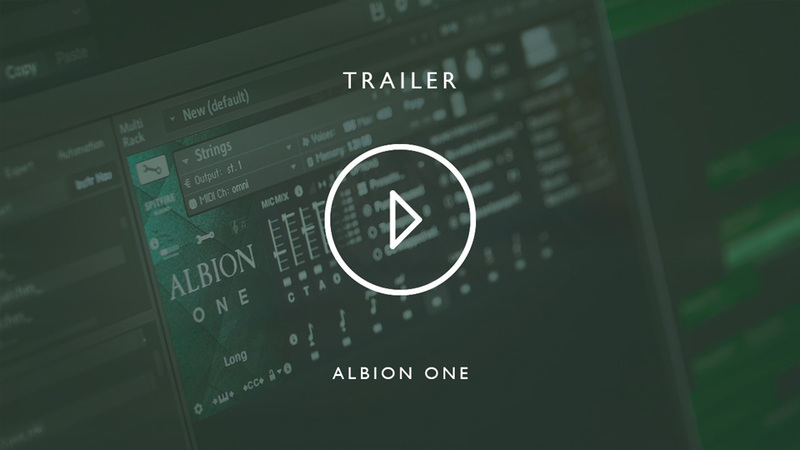 The original Albion concept was simple - it had to be everything you’d need to score a film, in one single product. We assembled 109 of London’s finest players, who feature regularly in Oscar-winning film score sessions and major global concert performances, and recorded them performing a range of techniques: long notes, short notes, tremolos, pizzicatos and so on. Each of these techniques are captured across a range of notes, and by section (Brass Low, Mid and High, Woods High and Low, and Strings), giving you the flexibility to program or perform your orchestral compositions with plenty of control. 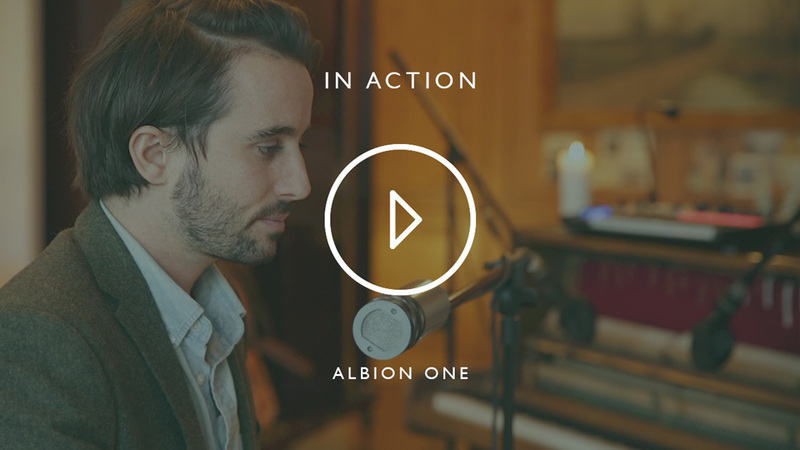 Albion ONE features our renowned legato articulations, which combine adjoining samples to give ultimate musicality, and runs, where a single note triggers the recording of a section playing phrases. There are four mic positions (close, tree, outriggers & ambient) to suit the type of music you’re writing and the scale you want to achieve. We also provide you with a popular 'ostinatum' designer that allows you to instantly create exciting, tense or action-packed rhythmic passages. Let’s talk drums. Most scores will benefit from rhythmic accompaniment - from gentle undertones to full-scale mega hits, we’ve captured everything you will need to build a backbone to your score. Also recorded in The Hall at Air Studios, we gathered some of the largest drums in London. From hi sticks to low taikos and toms, plus our recently added Easter Island hits, we recorded some in sections and some solo with a dash of blockbuster-style hyped percussion thrown in for good measure. Finally, Jake Jackson, our highly experienced Chief Engineer and Air Studios resident brings an added punch with his exceptional mixes. All of these samples are accessed via our Kickstart engine - an interface which makes it easy to map and perform drums in your DAW. As well as single hits in Air Studios, we’ve captured hundreds of raw and warped loops from original recordings made at our own studio, featuring percussion heavy hitter Paul Clarvis (Spectre, The Dark Knight, Harry Potter, Star Wars). Brunel Loops is a module based on our powerful eDNA engine — the perfect tool for mangling your sounds. It allows two input sources to be warped, sequenced, effected and blended, all in sync — this means you’ve got endless possibilities for creating unique and distinctive loops. We’ve also taken the recorded orchestral material and done everything imaginable with it: pushed, pulled, stretched and squished; we’ve processed it using everything from priceless vintage outboards to cheap guitar pedals. As with Brunel Loops, this library is housed within our fully tweakable eDNA engine, making Stephenson’s Steam Synth a unique and dynamic orchestral-synth engine. 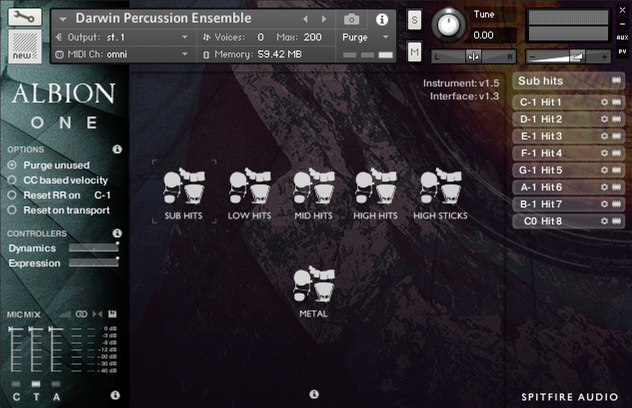 It’s easy to use and the go-to tool for creating pads and effects that perfectly bridge the electronic and the orchestral. 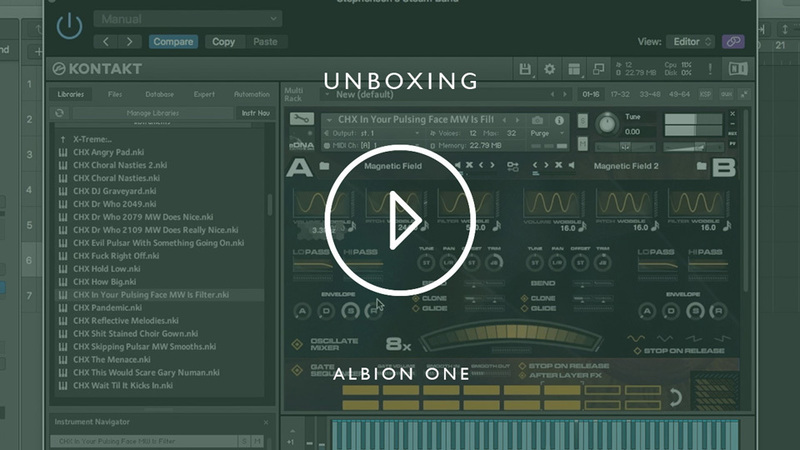 Albion ONE is a sample library built to work with Native Instrument’s Kontakt Player. It’s also NKS-ready - pre-mapped and ready to play, with light guides for visual key switches, splits and mapping feedback, and hardware library browsing. This interface houses our own sample-synthesiser engine. 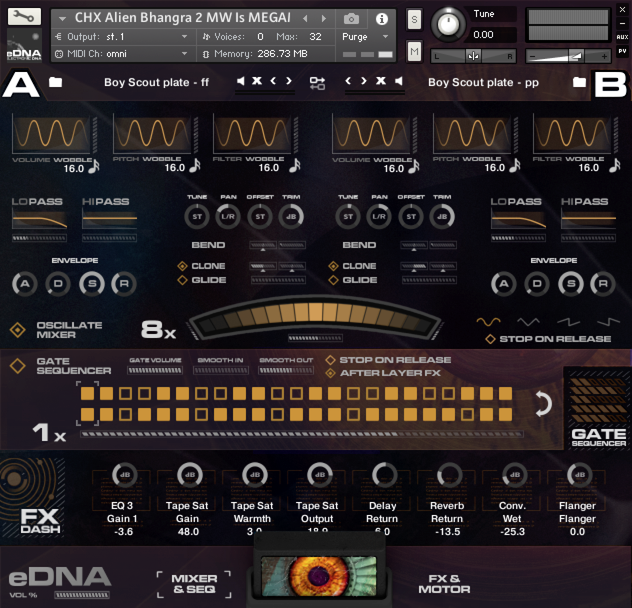 You can use it to combine two sounds and modulate between them with envelopes, filters and wobbles per sound, as well as a gate sequencer and a selection of go-to FX.